Gujrathi joined an elite list of Indians winning medals at the world junior champions starting from a gold medal by world champion V Anand in 1987, gold by Harikrishna in 2004, gold by Abhijeet Gupta in 2008 and Bronze by Sahaj Grover in 2011. With Yangyi taking gold, the silver went to defending champion Alexander Ipatov of Turkey who defeated Aleksander Indjic of Serbia in the final round. Yu Yangyi ended on 11 points from 13 rounds while Ipatov scored 10.5 in all. Gujrathi tied for third spot along with Peruvian Grandmaster Jorge Cori and had the better tie break for his bronze medal. Playing the black side of a Caro Kann, Gujrathi had little to do with black pieces as Yangyi was satisfied with a draw ensuring him the first place. On the second board Ipatop played it tough and defeated Indjic in a one sided affair. 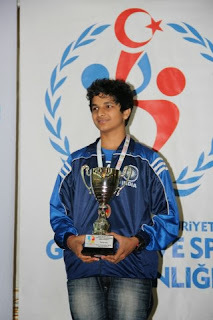 "It's my best effort since winning the world under 14 a few years back," said Gujrathi after his medal winning performance adding quickly that he wants to break into the 2600 ELO rating club soon. S P Sethuraman needed to win to be in contention of a medal and Jorgi Cori was not relenting as white. It was a Grunfeld defense wherein the Indian spurned down chance to repeat and draw and eventually ended on the losing side after gifting a handful of queen side pawns. Grandmaster Sahaj Grover lost his second game in a row when he could not handle the complexities of a French Winawer against A R Saleh Salem of UAE. Ending on 7.5 points, it turned out to be a mediocre performance for Grover who scored 50 per cent against the top three ranked players. Debashish Das will have to wait for the confirmation of his Grandmaster title till the next tournament after he drew the final round game here. Needing a victory to complete his GM title, the Indian was held to a draw by Radoslav Dmitrov of Bulgaria. In the girls' championship that concluded simultaneously, Aleksandra Goryachkina of Russia won the gold scoring 10.5 points in all while the silver went to Zhansaya Abdumalik of Kazakhstan. Top seed Alina Kashlinskaya of Russia won the bronze. Important and Indian results final round (Indians unless stated): Yu Yangyi (Chn, 11) drew with Vidit Gujrathi (9.5); Alexander Ipatov (Tur, 10.5) beat Aleksander Indjic (Srb, 8.5); Jorge Cori (Per, 9.5) beat S P Sethuraman (8.5); Debashis Das (8.5) drew with Radoslav Dimitrov (Bul, 8.5); A R Saleh Salem (Uae, 8.5) beat Sahaj Grover (7.5); N Srinath (7.5) drew with Jinshi Bai (Chn, 7.5); Sanal Vahap (Tur, 7.5) beat Rakesh Kulkarni (6.5); S L Narayanan (7.5) beat Fang Yan (Chn, 6.5); Atay Sergen (Tur, 4.5) drew with Sameer Kathmale (4.5). Girls: Aleksandra Goryachkina (Rus, 10.5) beat Andrea Paula Rueda Rodriguez (Col, 8.5); Padmini Rout (8.5) drew with Zhansaya Abdumalik (Kaz, 9.5); Dinara Saduakassova (Kaz, 8.5) drew with Irina Bulmaga (Rou, 8.5); Mitra Hejazipour (Iri, 9) beat Aulia Medina Warda (Ina, 8); Ivana Maria Furtado (7.5) beat Marvorii Nasriddinzoda (Tjk, 6.5); Fronda Jan Jodilyn (Phi, 7) drew with G K Monnisha (7); Irina Petrova (Ukr, 7) beat Rucha Pujari (6); Ayelen Martinez (Arg, 6) lost to Riya Savant (7); Vo Thi Kim Phung (Vie, 6.5) beat Shristi Shetty (5.5); J Saranya (6.5) beat Alymbay Kyzy Aizhan (Kgz, 5.5); Anjana Krishna (6) drew with Anu Bayar (Mgl, 6). Kocaeli, Turkey: Indian Grandmasters Vidit Gujrathi and SP Sethuraman placed themselves for a medal contention as they defeated Jorge Cori of Peru and Vladislav Kovalev of Belarus respectively in the 12th and penultimate round of World Juniors Chess Championship. The victories took Gujrathi and Sethuraman to nine points out of a possible 12 and at least one of them looked poised to get a medal. Yu Yangyi of China almost assured himself of the gold medal by beating Samvel Ter-Sahakyan of Armenia. The Chinese top seed took his tally to a whopping 10.5 points and a draw as white against Gujrathi in the last round will assure him of the title. Alexander Ipatov of Turkey remained sole second on 9.5 points after drawing his game with Wei Yi of China. The defending champion can also ensure the silver with a draw in the last round. Gujrathi played white and outclassed Cori from a side variation in the Grunfeld defense game. The opening gave Gujrathi a small but lasting advantage and he was quick to pounce on a pawn in the early middle game. Cori lost another pawn and did not get the desired counter play as the Indian romped home in 37 moves. Sethuraman had to work harder against Kovalev from a King's Indian defense by the latter. Sethuraman went for an attack on the Kingside sensing his chances once black pushed the pawns ahead and got the advantage as Kovalev went for an error-filled plan. The game lasted 45 moves. The other Indian boys had a mixed day. Grandmaster Sahaj Grover lost to Aleksander Indjic of Serbia while Debashish Das beat Simone De Filomeno to come within striking distance of becoming a Grandmaster. Important and Indian Results: Round 12 open (Indians unless specified): Samvel Ter-Sahakyan (Arm, 8) lost to Yu Yangyi (Chn, 10.5); Wei Yi (Chn, 8.5) drew with Alexander Ipatov (Tur, 9.5); Vidit Gujrathi (9) beat Jorge Cori (Per, 8.5); S P Sethuraman (9) beat Vladislav Kovalev (Blr, 7.5); Sahaj Grover (7.5) lost to Aleksandar Indjic (Srb, 8.5); Simone De Filomeno (Ita, 7) lost to Debashis Das (8); Jahongir Vakhidov (Uzb, 8) beat N Srinath (7); Rakesh Kulkarni (6.5) drew with Sebastian Iermito (Arg, 6.5); Ege Koksal (Tur, 6.5) drew with S L Narayanan (6.5); Sameer Kathmale (4) lost to Temizkan Denizcan (Tur, 5). Girls: Aleksandra Goryachkina (Rus, 9.5) beat Meri Arabidze (Geo, 7.5); Andrea Paula Rueda Rodriguez (Col, 8.5) beat Irina Bulmaga (Rou, 8); Deysi Cori (Per, 7.5) lost to Zhansaya Abdumalik (Kaz, 9); Alina Kashlinskaya (Rus, 8) drew with Padmini Rout (8); Rucha Pujari (6) lost to Qiu Mengjie (Chn, 7); G K Monnisha (6.5) drew with Ivana Maria Furtado (6.5); Riya Savant (6) Anastasiya Rakhmangulova (Ukr, 6); Aisa Imeeva (Rus, 6.5) beat J Saranya (5.5); Aizhan Alymbay Kyzy (Kgz, 5.5) drew with Anjana Krishna (5.5); Shristi Shetty (5.5) beat Belen Matute Loja (Ecu, 4.5). Kocaeli (Turkey): Women's Grandmaster Padmini Rout caused a major flutter by defeating tournament leader Irina Bulmaga of Romania in the 11th round of World Junior Girls' chess championship on Wednesday. Playing black, Padmini was at her best in tackling Bulmaga who went hay wire in the middle game and lost a pawn. With perfect technique, Padmini picked up another pawn and then a rook for a knight, leading to a won position. The shocker meant changes in the rankings as Aleksandra Goryashkina of Russia emerged as the sole leader here with 8.5 points out of a possible 11. Padmini with this victory jumped to 7.5 points and she now shares the fourth spot with two rounds still to come. In the open section being organised simultaneously, S P Sethurman continued with his fine form and defeated Nasanjargal Urtnasan of Mongolia. Sethuraman took his tally to eight points in all along with compatriot Vidit Gujrathi who too had a good day against Debashish Das. Yu Yangyi of China regained sole lead defeating Andrey Stukopin of Russia on a day when defending champion Alexander Ipatov of Turkey was held to a draw Samvel Ter-Sahakyan of Armenia. Ipatov again slipped to the second spot on nine points, a half point ahead of Jorge Cori of Peru. The Indian duo of Sethurman and Gujrathi are now joint fourth on eight points and need to do well in the last two rounds to be in with a chance for a podium finish. Among other Indians, Grandmaster Sahaj Grover bounced back with a victory over Fang Yan of China, while N Srinath defeated Mykola Bortnyk of Ukraine. Sethuraman had an easy day out of a Nimzo Indian defense as black. Winning a pawn in the endgame, Sethuraman was precise in his calculations and his two passed pawns proved much faster than Urtnasan's. Gujrathi also won with black pieces. Debashish Das had a level position in the middle game but missed the thread as the game progressed. Gujrathi's technique was perfect to get a full point. Important and Indian results round 11 open (Indians unless stated): Alexander Ipatov (Tur, 9) drew with Samvel Ter-Sahakyan (Arm, 8); Yu Yangyi (Chn, 9.5) beat Andrey Stukopin (Rus, 7.5); Urii Eliseev (Rus, 7) lost to Jorge Cori (Per, 8.5); Debashis Das (7) lost to Vidit Gujrathi (8); Nasanjargal Urtnasan (Mgl, 7) lost to S P Sethuraman (8); Wei Yi (Chn, 8) beat Marcel Kanarek (Pol, 7); Fang Yan (Chn, 6.5) lost to Sahaj Grover (7.5); N Srinath (7) beat Mykola Bortnyk (Ukr, 6); S L Narayanan (6) beat Barros Rivadeneira Cristhian (Ecu, 5); Rakesh Kulkarni (5) beat Zhanbai Uulu Zhokhar (Kgz, 4); Assad Mamyrbay (5) beat Sameer Kathmale (4). Girls: Irina Bulmaga (Rou, 8) lost to Padmini Rout (7.5); Deysi Cori (Per, 7.5) lost to Aleksandra Goryachkina (Rus, 8.5); Arabidze Meri (Geo, 7.5) drew with Aulia Medina Warda (Ina, 7.5); Mitra Hejazipour (Iri, 7) drew with Alina Kashlinskaya (Rus, 7.5); Abdumalik Zhansaya (Kaz, 8) beat Sabina Ibrahimova (Aze, 6.5); Ivana Maria Furtado (6) lost to Ekaterini Pavlidou (Gre, 7); J Saranya (5.5) lost to Maria Bezgodova (Rus, 6.5); Ayelen Martinez (Arg, 6) drew with Rucha Pujari (6); Lena Miladinovic (Srb, 5) lost to G K Monnisha (6); Caterina Leonardi (Slo, 4.5) lost to Riya Savant (5.5); Anjana Krishna (5) beat Firat Deniz (Tur, 4). Kocaeli: Indian Grandmaster S P Sethuraman came back into the reckoning for top honours after defeating Duda Jan-Krzysztof of Poland in the seventh round of World Junior Chess Championship. After losing the sixth round against Yu Yangyi (photo left) of China, Sethuraman needed to win to stay in contention and he did that in style with white pieces to take his tally to 5.5 points. Playing the white side of a Queen pawn game, Sethuraman got the initial advantage and he capitalised on it well to win a pawn by force in the middle game. 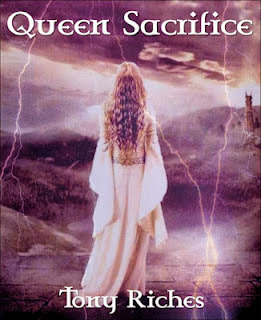 Jan-Krzysztof, however, came up with some real resistance and it was only in the nick of time that Sethuraman found a brilliant queen sacrifice to march to glory. Yu Yangyi of China, meanwhile, stayed ahead of the rest with another fine performance against Russian Urii Eleseev. 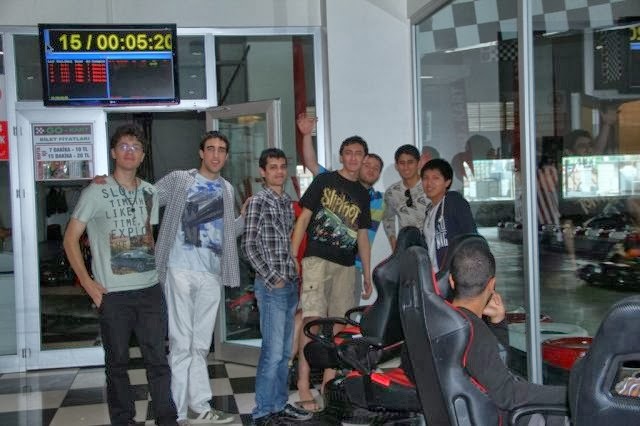 The Chinese took his tally to a commanding 6.5 points out of a possible seven and stayed a half point clear of defending champion and local hero Alexander Ipatov. Indian Grandmaster Sahaj Grover and Sethuraman share a four-way tie for the third spot along with Jorge Cori of Peru and Idani Pouya of Iran with six rounds still to go in the premier event for under-20 players in the world. Grandmaster Vidit Gujarathi also scored a comeback victory over Turkey's Dastan Muhammed Batuhan while, after initial hiccups, Asian junior champion N Srinath played a fine game to cruise past Martin Romero Martinex of Colombia. Both Gujrathi and Srinath have five points apiece. Among other Indians in the fray, S L Narayanan moved to four points, Sameer Kathmale secured 3.5 after a draw while Rakesh Kulkarni took his tally to three points with his second victory. 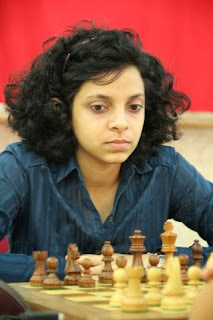 Padmini Rout defeated G K Monnisha to reach five points in the girls' championship being played simultaneously. Irina Bulmaga of Romania defeated overnight leader Aulia Warda Melina of Indonesia to emerge as the new sole leader on six points from seven games in this section. It was a mixed day for the Indian girls as Rucha Pujari met her nemesis in Zhansaya Abdumalik of Uzbekistan while Ivana Maria Furtado was held to a draw by Aisa Imeeva of Russia. J Saranya also ended on the losing side while Anjana Krishna and Riya Sawant won their games. Important and Indian Results of Round 7 Open (Indians unless stated): Urii Eliseev (Rus, 5) lost to Yu Yangyi (Chn, 6.5); Alexander Ipatov (Tur, 6) beat Debashis Das (5); Vladislav Kovalev (Blr, 5) drew with Sahaj Grover (5.5); Andry Stukopin (Rus, 4.5) lost t Jorge Cori (Per, 5.5); S P Sethuraman (5.5) beat Duda Jan-Krzysztof (Pol, 4.5); Aleksandar Indjic (Srb, 4.5) lost to Idani Pouya (Iri, 5.5); Vidit Gujrathi (5) beat Dastan Muhammed Batuhan (Tur, 4); Martin Romero Martinez (Col, 4) lost to N Srinath (5); S L Narayanan (4) beat Carneiro Vitor Roberto Castro (Bra, 3); Sameer Kathmale (3.5) drew with Diyap Buyukasik (Tur, 3.5); Yargici Mazhar Kutay (Tur, 2) lost to Rakesh Kulkarni (2). Kocaeli, Turkey: Grandmaster and former U-10 world champion Sahaj Grover came up with an inspired performance to beat compatriot Grandmaster Vidit Gujrathi in the sixth round of the World Junior chess championship. The victory with white pieces helped Grover to jump to joint second spot on five points out of a possible six. Yu Yangyi of China regained sole lead on 5.5 points defeating S P Sethuraman in a keenly contested game. Grover was in his elements in a Nimzo Indian defense game against Gujrathi. It was a complex middle game wherein Gujrathi was the first to err and Grover won a pawn to reach a better endgame. On the 40th move Gujrathi made the fatal error resulting in loss of another pawn that sealed the fate of the game. Grover picked the full point without much ado thereafter. Sethuraman played the Najdorf Sicilian and showed excellent preparation in the early part of the game. However, Yangyi got the balance in his favour with an over-the-board improvement and Sethuraman's king came under fire. The Indian sacrificed a piece but could only reach a slightly worse endgame where Yangyi's technique was too good. 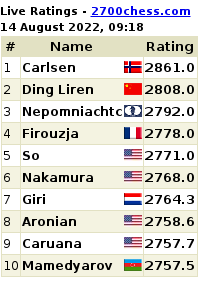 Yangyi is now followed by Grover, defending champion Alexander Ipatov of Turkey, Urii Eliseev of Russia and Debashish Das who all have five points apiece. Debashish Das came close to attaining the Grandmaster title for which he needs to touch the 2500 rating mark. In the sixth round Das defeated Jahongir Vakhidov of Uzbekistan. Aulia Warda Melina of Indonesia seized the lead in the girls' championship being played simultaneously defeating top seed Alina Kashlinskaya of Russia. The Indonesian girl took her tally to 5.5 points in all. The all-Indian duel between Rucha Pujari and Padmini Rout ended in a draw and both inched to four points out of their six games. G K Monnisha also reached four points after settling for a draw with Zhansaya Abdumalik of Uzbekistan. Amongst other Indians in the fray in the open section, S L Narayanan and N Srinath played out draws while Sameer Kathmale and Rakesh Kulkarni scored victories. 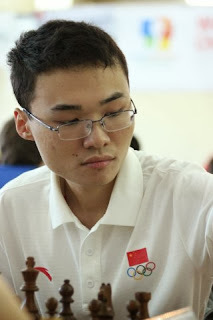 Important and Indian Results round 6 open (Indians unless stated): Yu Yangyi (Chn, 5.5) beat S P Sethuraman (4.5); Tamas Petenyi (Svk, 4) lost to Alexander Ipatov (Tur, 5); Sahaj Grover (5) beat Vidit Gujrathi (4); Urii Eliseev (Rus, 5) beat Marcel Kanarek (Pol, 4); Duda Jan-Krzysztof (Pol, 4.5) drew with Pouya Idani (Iri, 4.5); Debashis Das (5) beat Johangir Vakhidov (Uzb, 4); Jorge Cori (Per, 4.5) beat Paul Velten (Fra, 3.5); Vahe Baghdasaryan (Arm, 3.5) lost to Vladislav Kovalev (Blr, 4.5); N Srinath (4) drew with Sanal Vahap (Tur, 4); Ashiku Franc (Alb, 3) drew with drew with S L Narayanan (3); Cem Gundogan (Tur, 2) lost to Sameer Kathmale (3); Rakesh Kulkarni (2) beat Erdene Baasansuren (Mgl, 1). Girls: Alina Kashlinskaya (Rus, 4.5) lost to Aulia Warda Medina (Ina, 5.5); Irina Bulmaga (Rou, 5) drew with Deysi Cori (Per, 4.5); Meri Arabidze (Geo, 4.5) drew with Wang Jue (Chn, 4.5); Aleksandra Goryachkina (Rus, 4) drew with Anastasiya Rakhmangulova (Ukr, 4); Sabina Ibrahimova (Aze, 3.5) lost to Dinara Saduakassova (Kaz, 4.5); Rucha Pujari (4) drew with Padmini Rout (4); G K Monnisha (4) drew with Zhansaya Abdumalik (Kaz, 4); Sarasadat Khademalsharieh (Iri, 3.5) drew with Ivana Maria Furtado (3.5); Xiao Yiyi (Chn, 3.5) beat Anjana Krishna (2.5); Cansu Soylemez (Tur, 2.5) lost to J Saranya (3.5); Melisa Birgelir (Tur, 1.5) lost to Shristi Shetty (2.5); Riya Savant (2) beat Zivile Urbonaviciute (Ltu, 1). Kocaeli, Turkey, September 16: Indian Grandmasters Vidit Gujrathi and S P Sethuraman registered victories to jump to joint second spot on 3.5 points after the end of the fourth round of World Junior Chess Championship. While Gujrathi outclassed Jurab Javakhadze of Georgia, Sethuraman got the better of Vahe Baghdasaryan of Armenia in their fourth round encounters. On what turned out to be a good day for the Indian boys, Gujrathi made most of the opportunities in a complex game against Javakhadze from the black side of an irregular opening. Getting his knight posted in the centre of the board, Gujrathi exerted pressure and the Georgian did not have a chance. Sethuraman also fought for the blood out of a Semi-Slav defence and won a pawn with precise calculations. The technicalities were far from easy but the Indian made them look like child's play when his two passed pawns marched down in the ensuing Bishops and pawns endgame. 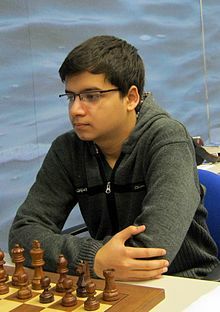 The other Indian Grandmaster in the fray, Sahaj Grover also scored a fluent victory over Benjamin Arvola of Norway. Playing the white side of a Nimzo Indian defence, Grover made early inroads in black's position with some finely crafted manoeuvres in the middle game. Arvola could not resist for long as the pressure mounted on the queen side resulting in a loss of piece for the Norwegian. The game lasted just 25 moves and Grover took his tally to three points out of a possible four. Top seed Yu Yangyi of China emerged as the sole leader after scoring his fourth victory on the trot. On the receiving end was A R Saleh Salem of UAE who was outdone in a Scotch opening game. With Yangyi in front, as many as eight players are in close pursuit half a point behind including Gujrathi and Sethuraman. Grover and Debashish Das are both on three points after the latter was held to a draw by Muhammad Luthfi Ali of Indonesia. Meanwhile, G K Monnisha continued with her winning ways and defeated Sarasadat Khademalsharieh of Iran. The victory helped the Indian girl jump to joint lead with six others on 3.5 points in the girls section being played simultaneously. Padmini Rout continued with her comeback attempt at the expense of compatriot Ivana Maria Furtado. Ivana played aggressively but met with some perfect defence that proved decisive in the end. Rucha Pujari, J Saranya and Anjana Krishna ended on the winning side while Shristi Shetty and Riya Sawant lost their respective fourth round games. Nine rounds still remain in the premier event for the under-20 players in the world. Important and Indian results after round 4: (Indians unless stated): Yu Yangyi (CHN, 4) beat A R Salem Saleh (UAE, 3); Duda Jan-Krzysztof (POL, 3.5) drew with Alexander Ipatov (TUR, 3.5); Tamas Petenyi (SVK, 3.5) beat Nils Grandelius (SWE, 2.5): Jurab Javakhadze (GEO, 2.5) lost to Vidit Gujrathi (3.5); S P Sethuraman (3.5) beat Vahe Baghdasaryan (ARM, 2.5); Urii Eliseev (RUS, 3.5) beat Bai Jinshi (CHN, 2.5); Nasanjargal Urtnasan (MGL, 2.5) lost to Andrey Stukopin (RUS, 3.5); Debashis Das (3) drew with Muhammad Luthfi Ali (INA, 2.5); Sahaj Grover (3) beat Benjamin Arvola (NOR, 2); Jerad Docena (PHI, 2.5) drew with S L Narayanan (2.5); N Srinath (2.5) beat Uysal Burak (TUR, 2); Kutay Yargici Mazhar (TUR, 2) beat Sameer Kathmale (1); Rakesh Kulkarni (0.5) lost to Kitir Ahmet (TUR, 1.5). Kocaeli, Turkey, September 16: Grandmaster Vidit Gujrathi played out a fighting draw with Bai Jinshi of China, while GM Sahaj Grover lost to defending champion Alexander Ipatov of Turkey in the third round of World Junior chess championship here. It was an English opening by Gujrathi that did not promise much hope in the middle game even as Jinshi exchanged off pieces at regular intervals to retain the parity. The players arrived at a queen and pawns endgame where the draw was a just result after 38 moves. A faulty variation in the Queen’s gambit cost Sahaj Grover dearly as he was outdone in quick time by Ipatov. Playing black, Sahaj made an error in the opening to allow a dangerous king side attack. Known for his fondness for attack, Ipatov pounced on the chance and reached a winning endgame that was easy to convert. 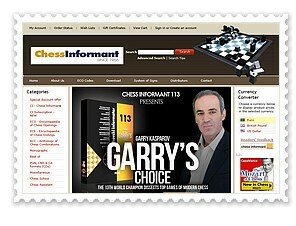 The other Indian Grandmaster in the fray – S.P. Sethuraman - made amends for his draw in the previous round and outplayed Ayan Akhmetov of Kazakhstan. A sacrifice in the middle game by Sethuraman led to a winning position. With ten rounds still to go, Yu Yangyi of China, A.R. Salem Saleh of UAE, Duda Jan-Krzysztof of Poland and Ipatov emerged as joint leaders with a perfect score. Sethuraman, Gujrathi and Grandmaster-in-waiting Debashish Das are among those who have 2.5 points each, while Grover and S.L. Narayanan are another half a point adrift. Among other Indians in the fray, S.L. 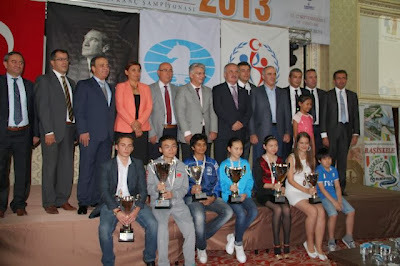 Narayanan defeated Temur Igonin of Uzbekistan while Das overpowered Saiyn Zhanat of Turkey. Rakesh Kulkarni and Sameer Kathmale ended on the losing side against Jorge Cori of Peru and Temizkan Denizcan of Turkey, respectively.